It all started in January 1990, when the magazine North Expanses raised the idea of holding sled dog races in Kamchatka Peninsula, and soon thereafter, the Fund of People of North, Siberia, and Far East of Russia founded the racing committee “Beringia”, with Alexander Pechen heading it. 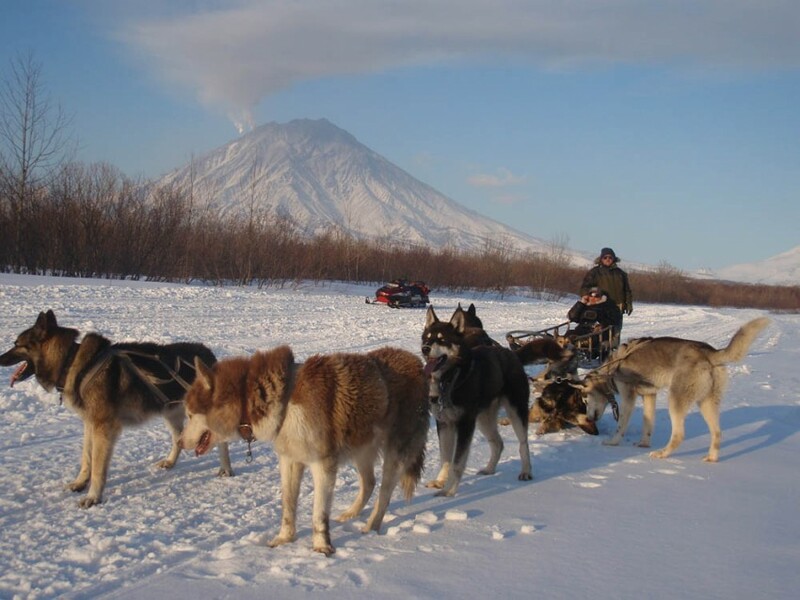 The first race “Beringia-90” took place in April, in the central part of Kamchatka, 250 kilometers from the village of Esso down two river valleys and over a mountain pass to the village of Mil’kovo. The winner of the race was 58 year old musher Fjodor Chechulin from Koryak area from Village Karaga. In 1991 the race “Beringia-91” started again in Esso and went 1980 kilometers to the North Kamchatka and into the region of Chukotka to the town of Markovo on the banks of the Anadyr River. The race stopped and started each day, allowing for easier logistical support from the single helicopter, which followed the teams along the route. Ten mushers started and five finished. A musher from Koryak autonomous area from village Karaga, Pavel Lazarev, won the first section, and the entire race in 258 hours. Guinness Book of Records certified that it was the longest mushing trail in the world. Race “Beringia-92”– from Esso to Markovo, 2044 kilometer trail,the winner of race musher from Chukotka, Vladimir Radivilov, 201 hours. Race “Beringia-93”– the 1993 race was changed to three sprint races of 5, 17and 40 kilometers, and held just outside of town Petropavlovsk-Kamchatsky. The winners Alexander Petrov, Elena Panioukhina. 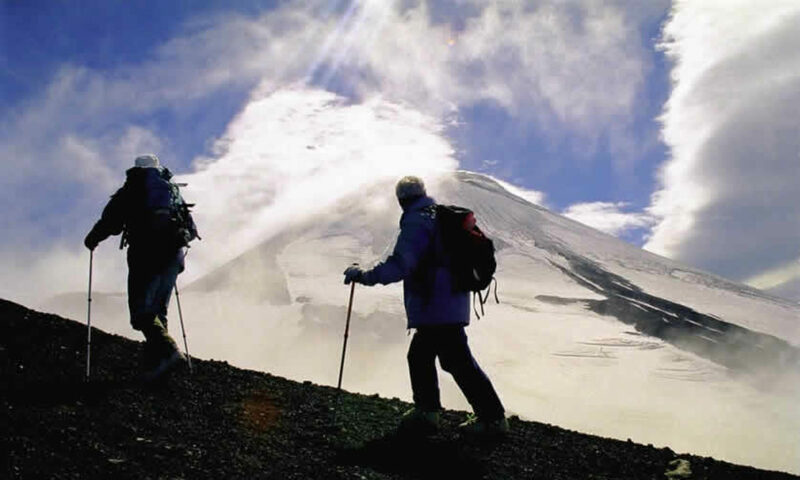 Race “Beringia-94” – 295-kilometer trail starts at Petropavlovsk and circumnavigates the towering but extinct Koryaksky volcano. The winner of race musher from Koryak area from town Palana, Alexander Petrov, second title musher from Germany, Thomas Gut. Race “Beringia-95” –trail 1994 year’s, the winner Alexander Petrov. “Beringia-97” – sled dog expedition, Koryak autonomous area, from Palana to village Ossora, trail 300 kilometer. Race “Beringia-99”– trail 450 kilometer, from Esso to village Tigil. The winner of race musher Vladimir Tinetegin from Palana. Race “Beringia-2000” – trail 650 kilometer, from Esso to Palana. The winner of race musher Yurij Nayanov from village Karaga. Race “Beringia-2001” – trail 950 kilometer, from Esso to Ossora. The winner of race musher Nikolay Levkovsky from Koryak area village Ust-Khairusovo. Race “Beringia-2002” – trail 950 kilometer, from Esso to Ossora. The winner of race musher Andrej Pritchin from Karaga, Koryak area. Race “Beringia-2003” – trail 950 km, from Esso to Ossora. The winner of race musher Andrej Pritchin from Karaga, Koryak area. Race “Beringia-2004” – trail 950 km, from Esso to Ossora. The winner of race musher Yakov Tanvilin from Tymlat, Koryak area. Race “Beringia-2005” – trail 950 km, from Esso to Ossora. The winner of race musher Aleksey Popov from village Ust- Khairusovo, Koryak area. Race “Beringia-2006” – trail 950 km, from Esso to Ossora. The winner of race musher Aleksey Kolegov from village Ossora, Koryak area.